If you think about what defines Cabot Oil & Gas Corporation in Susquehanna, Pennsylvania, you probably think about the amount of gas we produce on a daily basis. Certainly, this is an important quality to those who need energy and want to be energy independent, but what about something bigger for the county? Cabot also makes strides everyday toward economic development and community sustainability. If you didn’t watch the news yesterday, (shame on you,) you missed an exciting announcement regarding the partnership of Cabot Oil & Gas Corporation and the Endless Mountain Hospital project in Montrose, Pennsylvania. In January, Endless Mountains Health Systems broke ground on a much-needed 25-bed hospital. Cabot stepped in when we heard that the Hospital was looking to build a Physicians Clinic to supplement the hospital and to further aid the community. This video takes us back to the hospital’s groundbreaking in January, 2012. 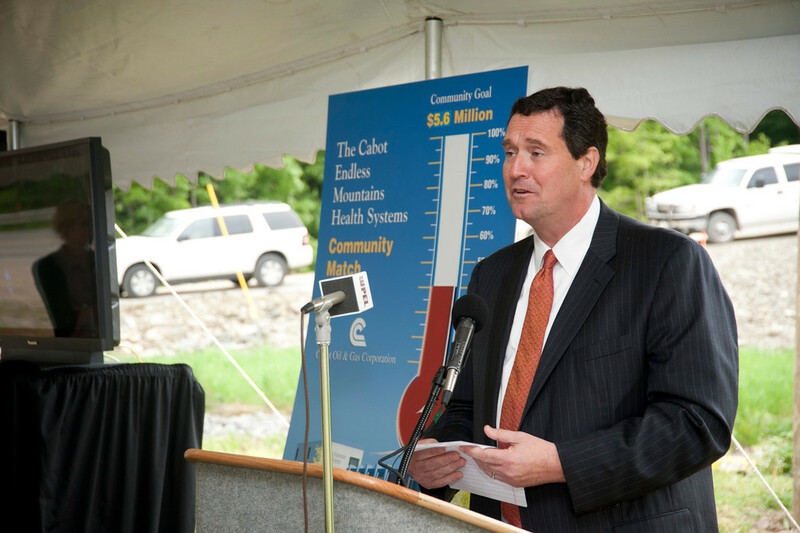 Cabot announced yesterday that we’ve reached 70 percent of our $3 million goal to help fund the hospital’s $5.6 million Physician’s Clinic. If you remember, we donated $1 million in January, 2012 toward the Clinic. 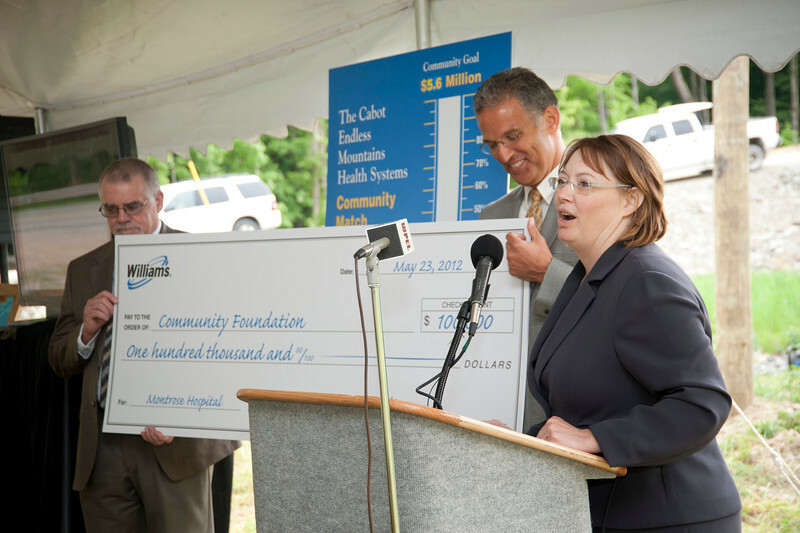 Since then, we’ve established The Cabot Endless Mountains Health Systems Community Match Fund and have raised more than $700,000 from Cabot contractors, community members and the private sector. In addition to the establishment of a Match Fund program, Cabot has influenced other donors to sponsor the cause, outside of the match program. The Harry and Janette Weinberg Foundation, based in Baltimore, saw Cabot’s giving and contributed a $1 million gift to the overall project.